The classic Facebook privacy hoax made a comeback recently. While posting some “declaration of privacy” doesn’t do diddly, there are some steps you should take to be relatively safe. If you really want to keep your information private, DON’T join Facebook! In fact, don’t use e-mail either, but that’s another story. Ok, let’s say you want to use Facebook, but want to limit what strangers can see. First, in the top title bar, click your name. Now, at the bottom of your cover photo, click on the … button. Click “View As…” and you’ll see what the “public” sees. In other words, people who are neither friends, nor friends of friends. You might be surprised what’s here – I was! Especially since my privacy setting is “Friends”. My account has been around a long time, though, and older posts were viewable. To fix some of this, go back to the title bar, and click the down arrow. Click Settings. On the left, click Privacy. Set “Who can see your future posts” to Friends. If someone wants to see your posts, let them send you a friend request. I see no reason why friends of friends would need to see everything I post. Now, click “Limit The Audience for Old Posts on Your Timeline” and click the “Limit Old Posts” button. Now, you would think that everything is fine, but you would be wrong! Go back and look at “View As”. You should see MUCH less than you could before. But there are still posts here. In my case, they were all junk, so I just went through and deleted them. Now, when I click “View As”, it just shows my friends and profile photos. Be aware that any time you tag someone in a photo, they can see that photo. So can their friends. Now, let’s secure your Friends list. Without doing this, an anonymous visitor to your Facebook profile will see everyone you’re friends with. While on the same page (the one you get to by clicking your name), hover over the Friends area on the left. A pencil will appear. Hover over that and click “Edit Privacy”. Set “Who can see your friends list” to Friends. Also set “Who can see the people and lists you follow” to Friends. 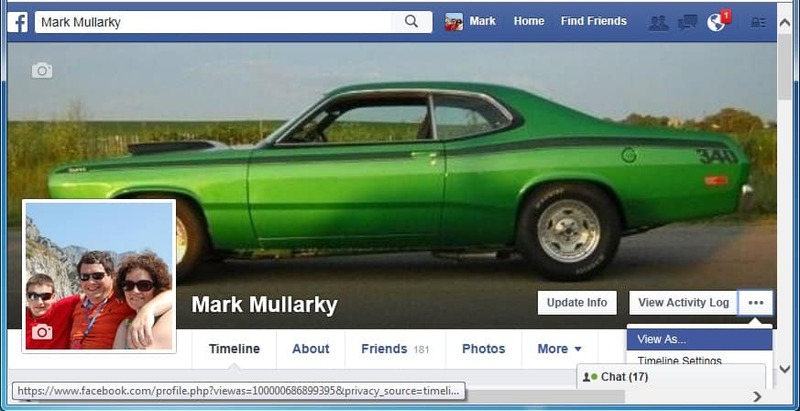 Check your profile now using the “View As” tool and I think you’ll see a definite improvement in your Facebook Privacy! 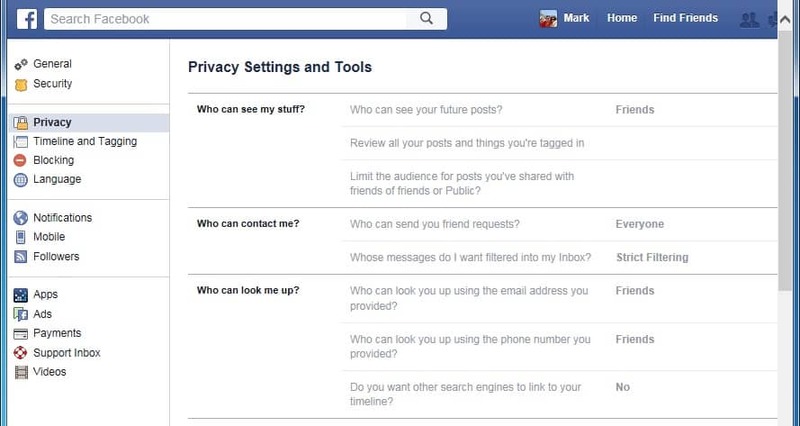 Please post something good about us before you update your Facebook privacy settings!